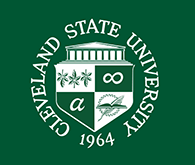 Formerly located inside Special Collections, the Cleveland State University and Fenn College Archives has moved to its new location in Rhodes Tower 319. The CSU Archives serves as the repository for the University's permanent records and also maintains copies of publications by CSU and its predecessor, Fenn College. This new area includes an exhibition area and state-of-the-art archival storage. Posted 2005-08-22 13:39:48 by Tracy_Kemp.